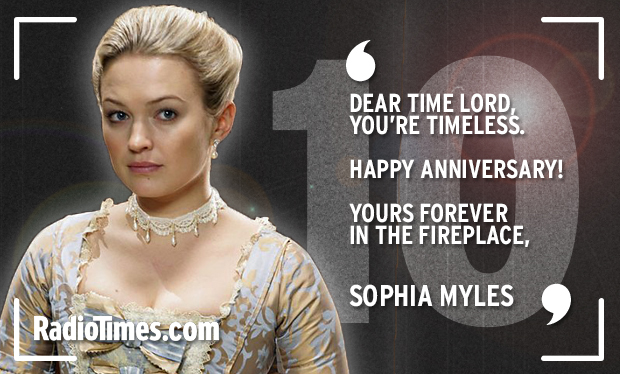 A huge thank you to Chrissy who has sent in some ‘new’ images from Sophia’s appearance as Reinette in Doctor Who: The Girl in the Fireplace. In addition to the STUNNING production still above, there are also two on set images that are variations to the ones we already have in the gallery! Our Zoo, the BBC1 TV show about the origins of Chester Zoo, has gained an army of new fans on the other side of the world as the show currently airs in New Zealand. The six-part series based on the story of how George Mottershead built the first ever zoo without bars in 1931 was a huge success with UK viewers when it ran towards the end of last year, drawing in audiences of around five million per episode. Fans couldn’t hide their disappointment when the BBC decided not to renew the show , which starred Lee Ingleby and Ralf Little, for a second series – after many had described it as ‘the best thing on TV in ages’. Such was the strength of feeling, The Chronicle decided to set up a petition asking the broadcaster to reconsider which quickly gathered more than 1,000 signatures in less than a week, but despite sending the petition off to the BBC as promised, we did not receive a reply. However, the petition has recently received a flurry of new activity since the show has started being broadcast in New Zealand, with Kiwi fans also taking to the internet to demand the BBC make a second series. Another fan suggested another series be made in memory of June Williams, George’s daughter, who died last month aged 88. June, who had been heavily involved with the production of Our Zoo and even made a cameo in one episode, had herself signed the petition and told The Chronicle that she would love to see the show return. “I think it should come back, because the zoo hadn’t even opened by the time the first series ended – it left a lot of the story untold, such as how the zoo coped through the war years,” she said at the time. A BBC spokesperson told The Chronicle last year that it had been a ‘hard choice’ not to renew Our Zoo for another series. As you may have already heard, unfortunately the BBC has confirmed that there will be no second series of Our Zoo.